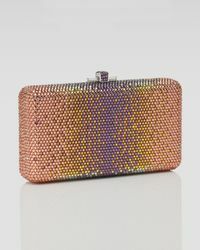 We check over 450 stores daily and we last saw this product for $2,872 at Neiman Marcus. 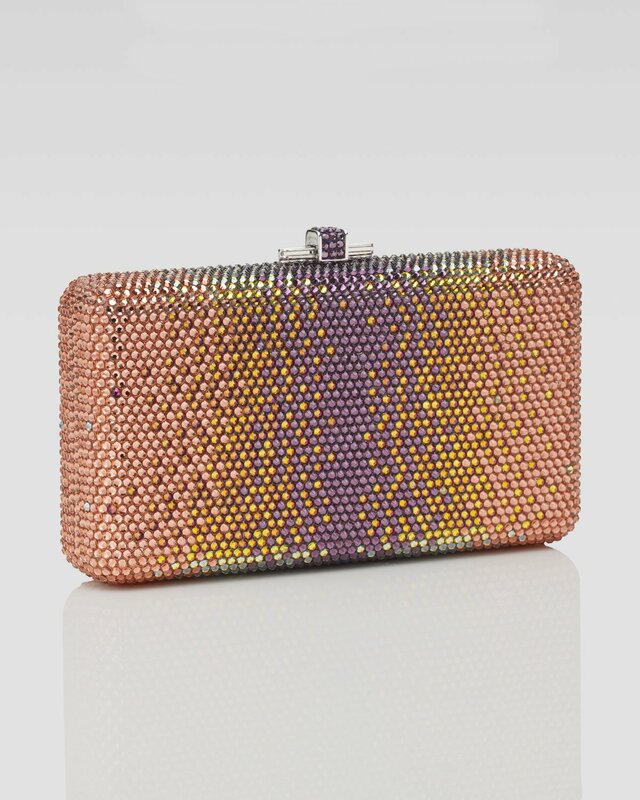 As timeless as you are, a sleek Judith Leiber minaudiere fit for the finest partiescarry in hand or on shoulder. Fully beaded brass with coral/multicolor ombre Austrian crystals. Silver hardware. Chain strap can be tucked in; 7 1/2"L. Push-lock closure. Rounded rectangular shape. Metallic leather lining; interior mirror. 3 1/2"H x 6 5/8"W x 1 1/2"D. Imported; Austrian materials.